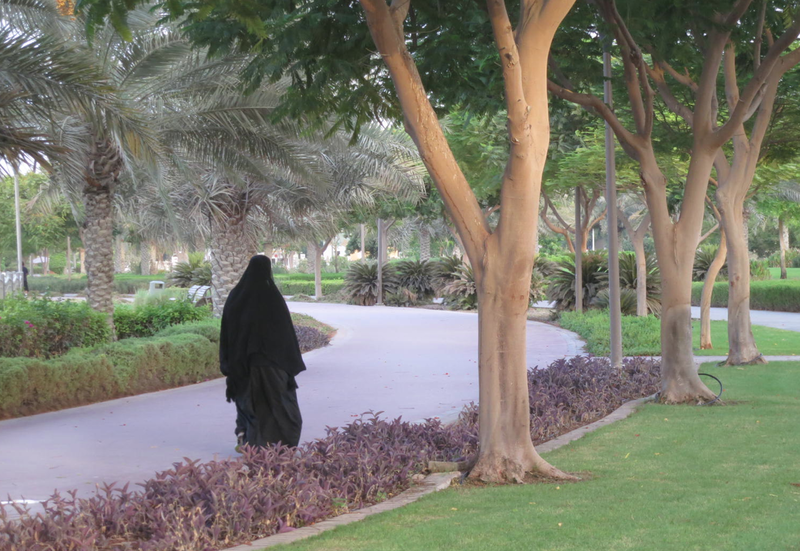 What do the words 'dress appropriately' mean when you are in Dubai Courts, on Dubai beaches or in Dubai malls. Dress sense helps make sense of it all. Have a seat in one of the many coffee shops in one of the many malls in Dubai and enjoy people watching whilst enjoying a lovely cup of coffee. Watching people go about their business, you will be amazed at the variety of outfits Dubai’s visitors wear. Yes, there are the wonderfully peaceful people dressed in abayyas (ladies black long overdress) or kandoras (men’s white long garment) and on the other side of the spectrum there are scantily clad folk. Bringing foreigners into the country in vast numbers does wonders for everyone living and working here so we’re very happy to see visitors come, marvel at the fantastic architecture, succomb to the amazing souks, relax by the beautiful beaches and, of course, spend their money in any one of the huge shopping malls. What isn’t tolerated is a blatant disregard for their home country, their beliefs and their religion. So, dress appropriately, using good old fashioned dress sense. Now what exactly does this mean? It’s no big deal really – the rules are easy to follow. Don’t wear off the beach what you would wear on the beach. Don’t show off too much of your cleavage – keep it under wraps please. Don’t leave your midriff exposed for leery eyed monsters to check you out. Don’t allow your shoulders to see daylight – cover them up. Don’t do knees! We’ve seen knees of all shapes and sizes. Please cover them. Don’t wear clothes which are overly tight fitting. Don’t go anywhere near a mosque without being covered, i.e. shoulders, tummies and knees. In the Grand Mosque in Abu Dhabi (definitely worth a visit) you are obliged to wear the local overdress (abayya). You are also asked to wear the black, light, headwear – a rectangular piece of material which is often embroidered – wrapped round your head in a particular way. The staff at the Grand Mosque provide the items but don’t turn up in ‘next to nothing’ – a ‘refusal often offends’ as they say in the shops when asking for credit. Don’t go to any of the Dubai Courts or Dubai authorities without covering up. This also means wearing tight fitting clothes. You will be asked to leave and return when you are appropriately dressed. The Dubai Courts and Dubai authorities are run by local Emiratis. They do not expect to have to deal with people who are considered inappropriately dressed. Cover up. Even some solicitors make the mistake of bringing their junior staff members to a transaction at the Dubai Courts without informing them of the dress code of the courts. The junior is told to leave without an explanation. Not good. Certainly not good for the company’s reputation or the poor junior’s confidence. Make sure all staff are aware of the dress code in Dubai. When it comes to men – please please please please do not walk about shirtless. We honestly don’t think it’s a fantastic sight. Again, don’t wear off the beach what you would wear on the beach is our mantra. Men, you’re lucky, you’ve only got that one rule to abide by. Oh, yes, just one more – don’t wear short shorts! Simple really ‘ when in Rome do as the Romans do’. OK so you’re in Dubai but the same rule applies.